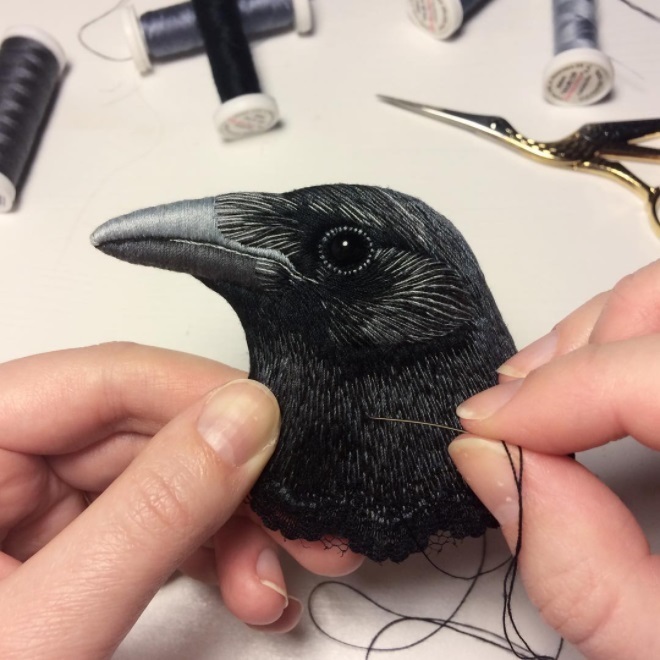 Paulina uses solid, not shaded, thread and works with the finest needles possible, such as John James’ needles for bead embroidery. Although she uses all sorts of thread, mostly her choice is common polyester threads. Doing the stitches in different lengths and directions, Paulina successfully creates impressions of various birds feathers. 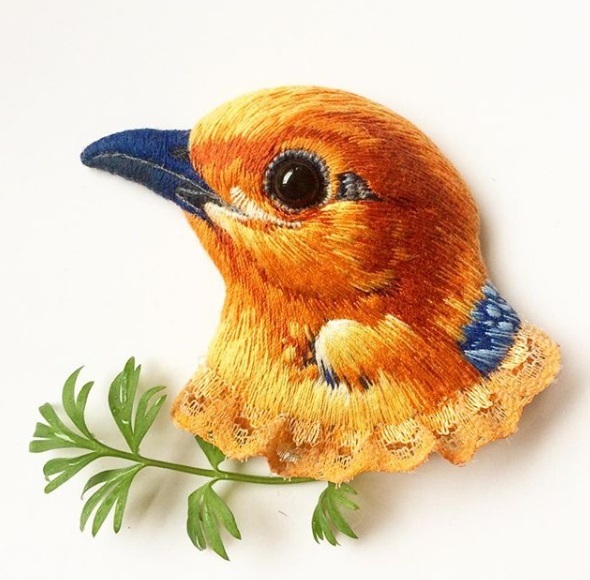 She embroidered various bird brooches featuring owls, sparrows, ravens, doves, finches, parrots… Occasionally, Paulina would accept commissions via her Etsy shop. Her rabbits, wolves and dogs are all minutely done with beautiful and natural shades of fur. 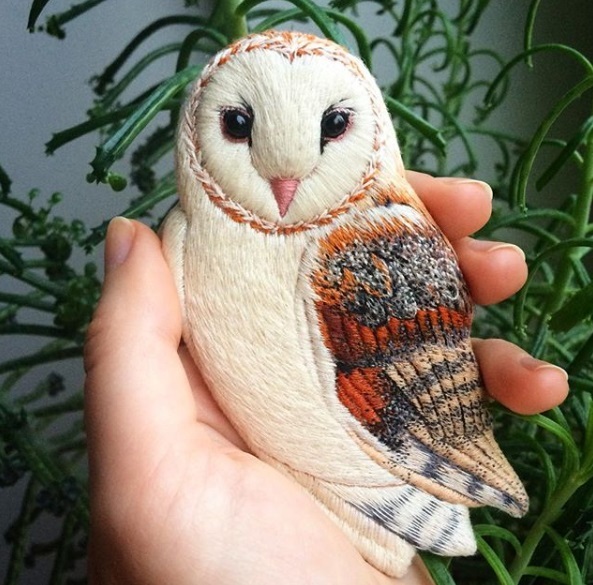 To find out more about Paulina’s embroidery, please visit her Instagram page. 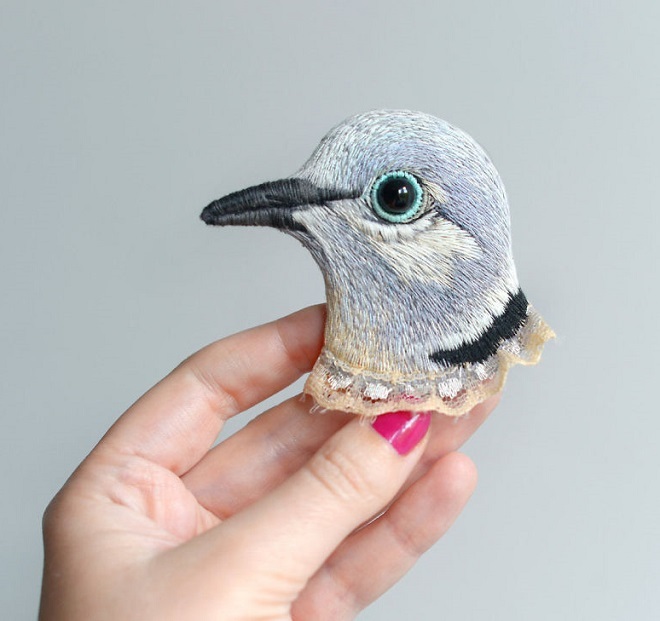 Through her shop, Conieco she crafts the most detailed threaded brooches, mainly of birds.